We have developed a state-of-the-art research and development unit with the most capable researchers and engineers. Based on their thorough market research, we innovate and improvise continually in terms of design and functioning. We strive to build on the competence of our processing machinery by increasing the loading capacity to result in optimum and satisfying performance. All our efforts are directed to provide our clients the best of processing plants and equipment to help them optimize in all respects. Owing to our continuous research, we have developed expertise in the designing and engineering and use latest CAD/CAM and other computer aided software. These are handled by our highly talented engineers who hold more than 25 years of industrial experience. Moreover, we keep our team up to date with the latest developments in the processing industry and conduct market survey to achieve the same. Our experienced and highly proficient craftsmen are capable of handling P & ID, Structural Layouts, and all the detailed piping layouts as per site requirements. We have a design team of engineers who design all the equipment as per ASME codes and provide detailed drawings for structure, equipment layout, piping layouts. Instrumentation mounting & cabling layouts extra.We have our own modern manufacturing unit located at Pune Talegaon MIDC area near to General Motors Pune plant. 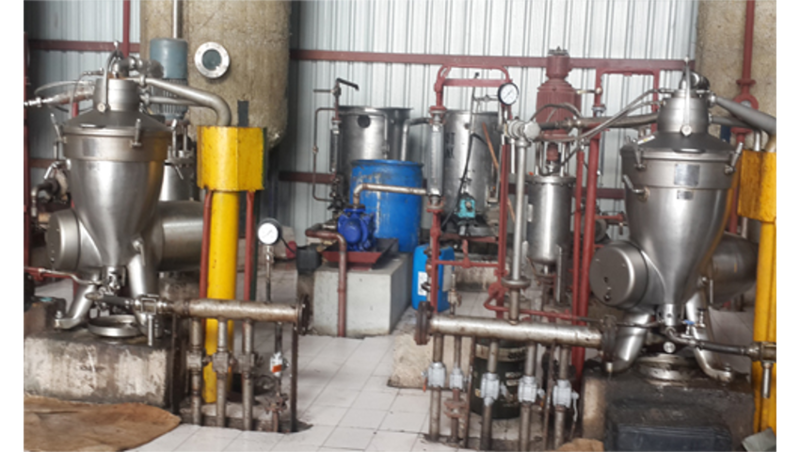 The manufacturing facility is spread in an Area of 60000 Sq Ft, of which 20000 Sq ft is covered shed equipped with Modern fabrication equipment.We have the manufacturing facility for manufacturing all types of pressure vessels designed as per ASME section VIII & IX.We have skilled manpower with experience of about 10- 15 yrs working with us for so many years. Our motto is quality, quality & quality. Our unit is ISO certified for IS0 9001 : 2008 by TUV Nord Germany. Site work is handled by experienced site engineers who have more than 5 to 10 yrs experience in site work with the help of detailed equipment layout and P & ID drawings. For complete turnkey solutions, and we provide site supervision from structural erection till commissioning of the plant and then hand over. The company has a state of the art manufacturing setup consisting of a covered shed of 15000 sq. ft. and open area of about 35000 sq. ft. near General Motors at MIDC Talegaon, India. The fabrication shed consists of modern welding machines, overhead crane for material handling and skilled manpower with over 15 years experience n manufacturing of process equipments as per ASME code, Section VIII, Division I.